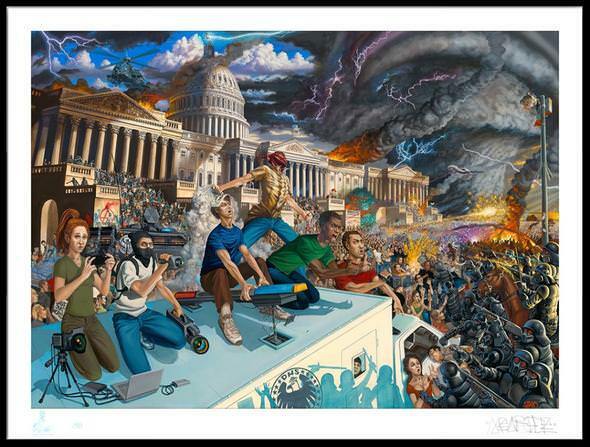 MEAR One has a new art print up in his shop. “American Revolution” is a 28.5″ x 38″ giclee, has an edition of 50, and costs $350. 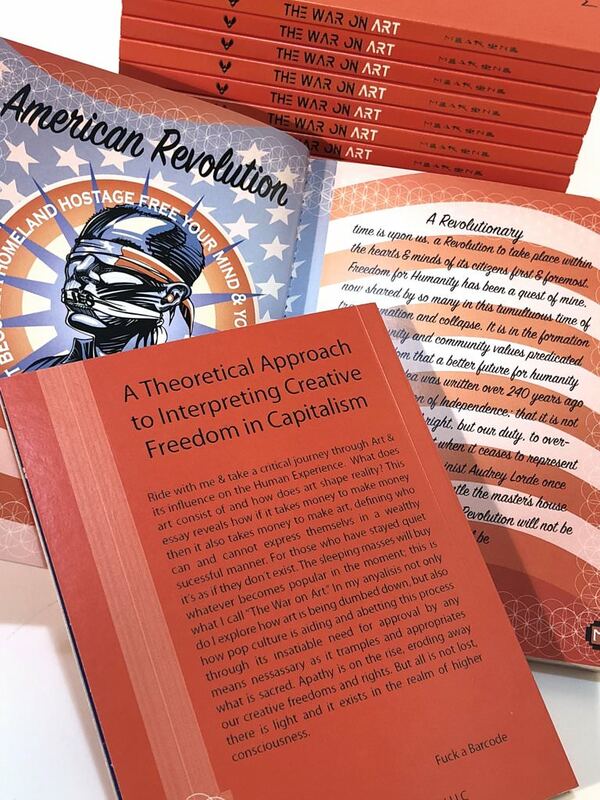 Each print comes with a Certificate of Authenticity & a 56 page bio-graffix art book written and designed by MEAR titled “The War on Art: A Theoretical Approach to Interpreting Creative Freedom in Capitalism.” Visit MEAROne.com.